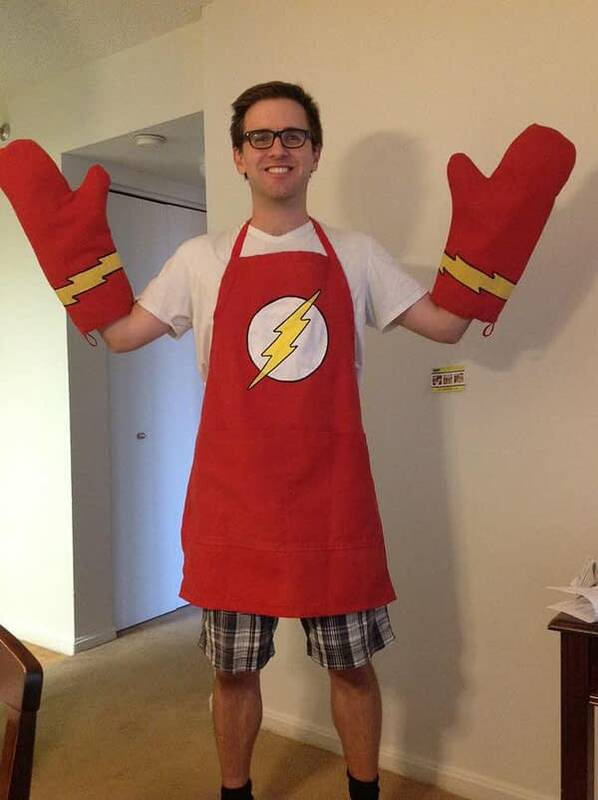 When instead, you can do the same in the privacy of your own kitchen, thanks to this Flash apron and oven mitts, made by Bleeding Cool contributor Will Romine’s mother. Nice legs, Will. How fast can they run?